Who Does the United Explorer Card Appeal to Most? 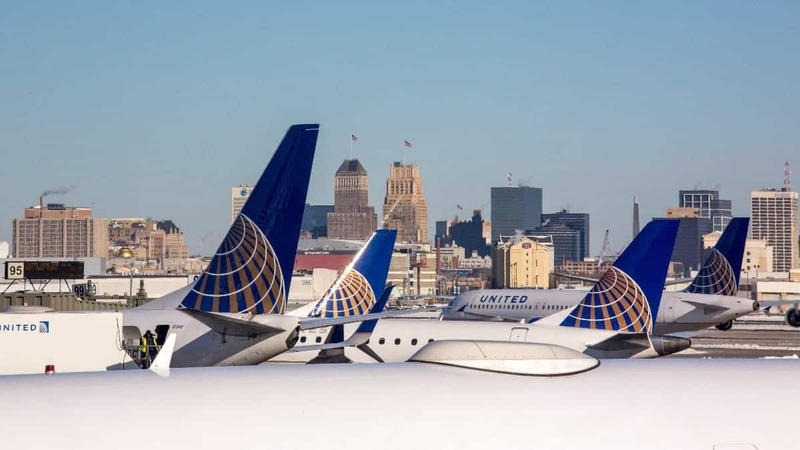 Decision Time: Is the United Explorer Card Right for You? Anyone who flies often enough is going to really benefit from having an airline rewards credit card in his or her wallet. This is going to allow you to earn many rewards points for your airline purchases. If you spend lots of money on airfare each year, then this could really help you to save some money. Your earned rewards will be able to be used toward your travel expenses, making it a very practical credit card to use often. Of course, there are a ton of different airline credit card programs out there for you to consider. If you are loyal to one airline or another, then you may already be more inclined to seek out specific credit cards. 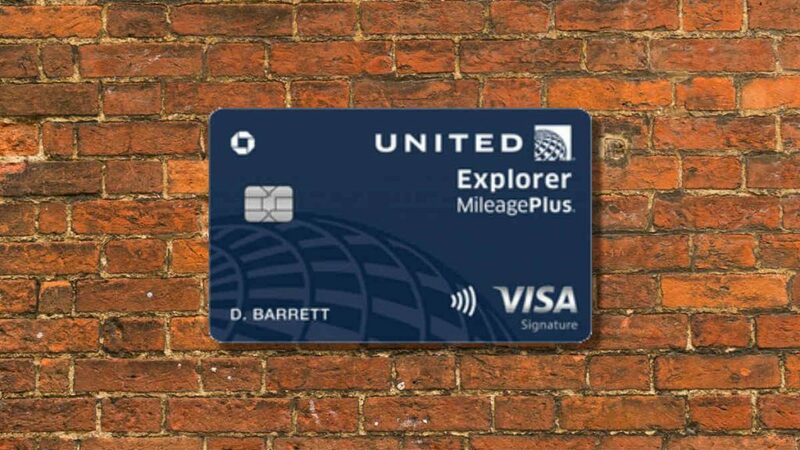 Those who fly with United Airlines will likely be very interested in the United Explorer Credit Card. This card allows those who fly with United Airlines the chance to earn many rewards while also enjoying various perks. It is smart to take the time to look at things from every angle before proceeding, though. Even if you are a loyal United Airlines customer, you want to be able to make an informed decision. Join us today as we review the United Explorer card to give you all of the important details. This will make it easy to see whether or not this card is worth your time or if you should keep on looking for other options. You'll earn 40,000 miles after spending $2000 in the first 3 months. Plus an additional 20,000 miles after spending $8000 in the first 6 months. You'll earn 2X miles on restaurants and hotel stays. Global Entry or TSA PreCheck fee statement credit. Knowing the prices and fees of any credit card is imperative when you’re trying to decide if it is worth your while. This credit card actually has fees that are pretty reasonable overall. You can expect a $95 annual fee when you sign up for this credit card. However, the annual fee is going to be waived for the first year, meaning that you do not have to worry about that right away. This card does have balance transfer fees to worry about too, though. The balance transfer fees are set at 5% with a $5 minimum. This is a pretty standard balance transfer fee that is not going to raise any eyebrows. The APR of this card is fairly normal but it is unlikely that you will want to use this as a balance transfer credit card anyway. You will not be able to take advantage of any introductory APR offers with this credit card either. It has a standard variable APR that falls within normal limits. It won’t be a terrible card for those who have to carry balances but most people will want to pay it off immediately. This is primarily a rewards credit card that people will use strategically in order to profit. Thankfully, this credit card does not charge users any foreign transaction fees. Being able to avoid fees such as this is always a good thing and it helps to keep your costs lower. If your travels find you going outside of the country every now and then, it will be possible to use your credit card without having to worry. This is an important thing for those who travel abroad frequently and is certainly a welcome sight. The United Explorer Credit Card offers cardholders a pretty standard sign-up bonus. This is going to help you to earn some bonus points for spending a certain amount of money in the first three months. Most people who buy airfare at least once per month will be able to qualify for this bonus. The points that you will earn are very worthwhile and it can help to alleviate a bit of your travel expenses, making it a worthwhile bonus to pursue. You will also be able to enjoy many different perks for being a cardholder. One of the perks that you will be using all of the time is the free checked bag perk. This allows you to check one bag for free and helps to save you money every single time you fly. You will also be able to receive priority boarding and this will make your travel experience that much nicer overall. Cardholders also receive two free United Club passes every year. This gives you access to the United Club airport lounge, which can make your travel experience more relaxing. Passes for the lounge are normally $59 so the value of the passes already negates the annual fee of the credit card. The United Club lounges are very nice and will definitely be something that you will like making use of from time to time. Your credit card is also capable of acting as primary car rental insurance. When you use your credit card to pay for your rental car, it will give you primary insurance coverage. This means that it will pay for any damages to the rental car instead of you having to make a claim with your car insurance company. This is a potentially money-saving perk that will be great for regular travelers. It is also possible to receive an application fee credit for the Global Entry and TSA PreCheck programs. These beneficial travel programs make it possible to streamline your travel experience, saving you ample amounts of time. It costs money to apply for the program and you will receive a fee reimbursement in the form of statement credit every five years. Note that this program needs to be reapplied for every five years so this works out swimmingly. You will also be able to receive 25% off of all of your in-flight purchases. This is great for people who travel all of the time and it will make flying more fun. You can buy refreshments or anything else being offered during the flight. The discount makes things more cost-effective and it just purely saves you money for making purchases that you would normally make anyway. The rewards program for this credit card actually gives you many different ways to earn bonus miles. You will receive two miles for every $1 spent on purchases from United Airlines. This will include airfare and any other types of purchases that you would make from United. Those who fly with United regularly will be able to earn rewards miles at a fast rate. There is also an increased bonus rate on other purchases. You can earn two miles for every $1 that you spend at restaurants and on hotel stays. This makes it a very lucrative travel credit card. You will be able to use this credit card to earn miles for common travel expenses. It is practical to use and the rewards program is easy to understand. All of your other purchases will allow you to earn one mile per $1 spent. It is definitely going to be more practical to use this card in the proper bonus categories but it is still good to be able to earn on normal purchases. Most cardholders will be able to earn miles very quickly when using this credit card. It has a good rewards rate and the miles have a good monetary value. The redemption options for your rewards miles are going to be fairly standard. You will be able to redeem miles to pay for airfare and they can also be used to pay for seat upgrades when you want to use them that way. This will work for United Airlines and you can also redeem your rewards miles for flights with Star Alliance partners. The options may be more limited than some other travel credit cards but at least the miles do have good overall value. With more transfer partnerships, this card could be truly top of the line. As it stands, the credit card still has a very good rewards program. You just need to make peace with the fact that you will need to use your miles to pay for flights and seat upgrades. This card will be a good option for travelers who need to go outside of the country. It does not hinder you by charging you foreign transaction fees. Using your credit card while you are abroad will never be a problem at all. It is always best when these travel credit cards avoid foreign transaction fees; thankfully, that is the case here. The good rewards rate makes this card a very nice option for just about any United Airlines customer. 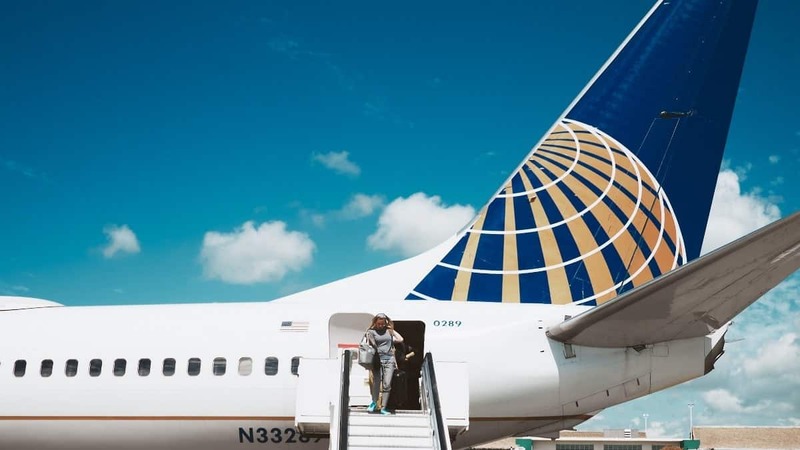 You will be able to earn two miles per $1 spent on United Airlines purchases. You can also earn two miles for every $1 spent on hotel stays and restaurant purchases. All other purchases will earn one mile per $1 spent. Being able to enjoy the many beneficial perks will help to push this card over the edge for some people. This card has better perks than many of the other airline credit cards on the market in this tier. 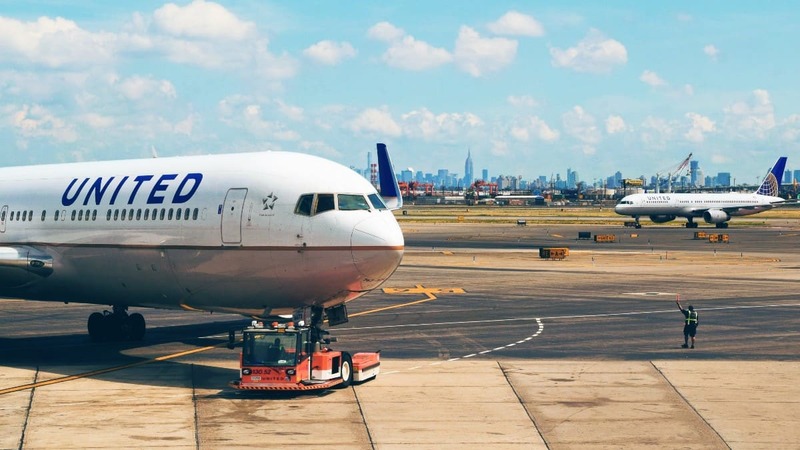 You will be able to enjoy free checked bags, priority boarding, Global Entry and TSA PreCheck application fee reimbursement, primary rental car insurance, and two free United Club lounge passes every year. This gives you a lot of value and it makes it easy to enjoy your traveling experience. If you like cards that come with really nice perks, then this one should make you happy. Lastly, the redemption options for this credit card are very easy to understand. They may not be as robust as some credit card rewards program redemption offerings but you can use your miles well. You can use miles to pay for airfare or seat upgrades at United Airlines or one of the Star Alliance partners. This can keep your travel costs lower than usual and you will always be able to earn more miles to use when you travel regularly. It is also great that your rewards points are never going to expire on you. Some rewards cards come with certain restrictions that will see the points or miles expire after a certain period of time has passed. You will not have to be concerned about your points expiring when you sign up for this card. You can hang onto your miles and use them whenever you see fit. As long as you remain a cardholder in good standing, these miles will be available to you. It works best for frequent flyers. The rewards program redemption options are somewhat limiting. It limits you to United Airlines. This is going to be a credit card that will work best for very frequent flyers. If you only travel a handful of times every year, then this is not going to earn you that many miles. It may be best to consider a credit card with more bonus categories that will allow you to earn regularly. For frequent travelers, this card is potentially very lucrative. The rewards redemption options are somewhat limiting when compared to other travel credit cards. There are no options to transfer your earned miles to hotels or other businesses. You will also not be able to get any cash-back options or anything of that sort. 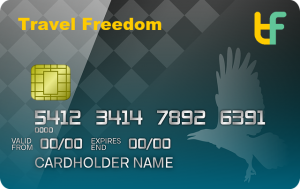 If you like having more flexibility with how you use your bonus miles or points, then this card may not be for you. You will also be limited to flying with United Airlines if you want to use this credit card to its full potential. You will only be earning the two miles per $1 spent rate if you buy airfare from United. It makes it impractical to fly with other airlines. If you are not the type who commits to one specific airline, then you may be better off with a general travel rewards credit card. Getting approved for this credit card is going to require a credit score that falls in the very good range. If your credit score is 690 or higher, then you should have a good chance of being approved. Those with excellent scores will have no problem getting this credit card. The smart thing to do will be to check your credit score first before making the decision to apply. For the most part, this credit card is going to appeal to people who are loyal to United Airlines. If you regularly fly with United Airlines, then using this credit card is the most sensible option that you can choose. It allows you to earn rewards miles at a good rate and it will give you a better traveling experience overall. It offers various perks and it really can save you a lot of money as a United Airlines customer. This card will also appeal to people who travel all the time. If you spend a lot of money on airfare, then it makes sense to have a card such as this in your wallet. You need to be able to earn rewards for the money that you are spending on travel. This card allows you to earn two miles for every $1 spent on restaurants and hotel stays too so it is incredibly practical for regular travelers. It is not going to be quite as good for people who only travel every so often. If you do not fly more than a couple of times every year, then this may not be a good option for you. It will likely be more practical for you to look into other types of rewards cards. The travel perks can be tempting but you want to be able to use them often enough to justify signing up. 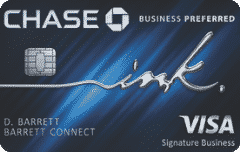 One of the most practical alternatives to consider is the Chase Sapphire Preferred Card. If you do not want to commit to one specific airline, then this card is a good deal for you. It allows you to earn two points for every $1 that you spend on travel and dining. The points that you earn can easily be transferred to airlines too so you can use the points with United Airlines if you want to do so. See our review of the Chase Sapphire Preferred. 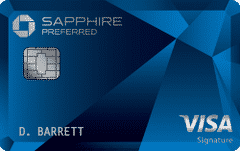 The Chase Sapphire Preferred Card is great for most people. It does not have the same perks as the United Explorer Card, though. If you prefer airline-specific perks, then you might be better off with the United Explorer Card. It mostly comes down to what you expect out of your travel rewards credit card and how your spending habits are. The United Explorer Card is a very good credit card for loyalists of United Airlines. If you travel with United Airlines regularly, then this card is very easy to recommend. The perks alone will make it worth paying that annual fee and you can earn many rewards miles over time. It’s a solid travel rewards credit card that is very customer-friendly. It is not a perfect credit card in every way but it offers cardholders a very good experience. If you travel often enough, then it definitely makes sense to apply for this card. It offers enough benefits to justify the annual fee and it improves many aspects of travel. You can earn rewards while making your life a bit easier so give this card a shot if you can make use of it often enough.